From our Vendor Partner- Lufft,the WS product family of professional intelligent measurement transducers with digital interface for environmental applications. Integrated design with ventilated radiation protection for measuring a variety of outdoor elements. 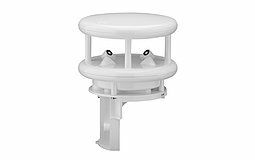 WS-300- Compact all-in-one weather sensor, low power, heater, aspirated radiation shield, maintenance-free operation, open communication protocol. Measures-temperature, relative humidity, air pressure..
WS-200 -Compact all-in-one weather sensor, low power, heater, maintenance-free operation, open communication protocol. Measures wind direction and speed.